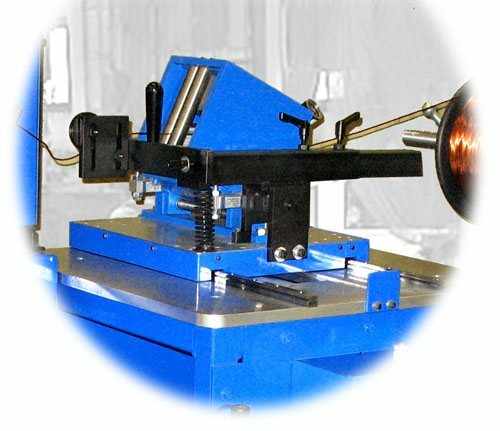 Designed to apply constant adjustable tension to single or multiple... round... square or rectangular wire as well as ferrous and non ferrous foil. 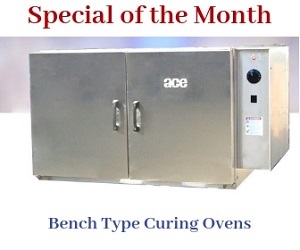 Manual forming and pounding of the coil is completely eliminated. 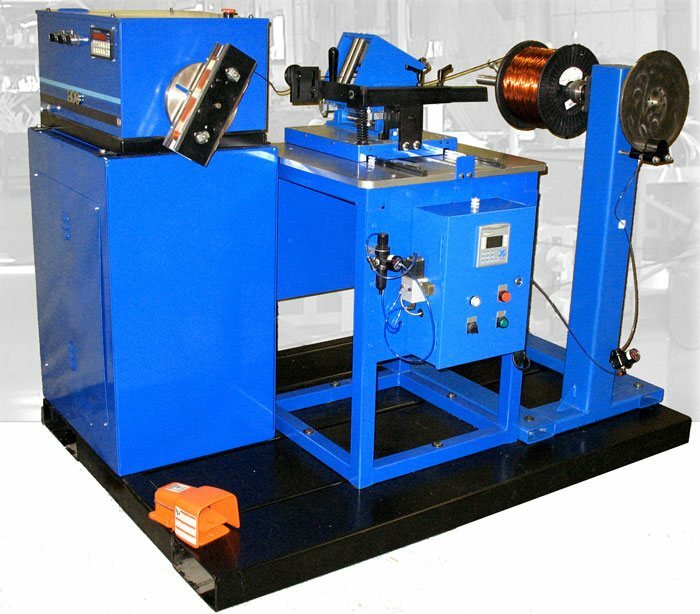 The Model 4800 Series can be used with many ACE heavy duty coil winding machines. Handles light, medium and heavy round, formed wire and foil. Automatic Layer Winding - no crossovers. Fully automatic or manual operation. Versatility - all types of coils. Automatic tapering of one side or both sides of coil. Memory up to 200 programmed recipes. Electronic controls for setting wire pitch. Minimal setup and tear down time. Perfectly wound coils reducing wire usage. Single or multiple wire handling. Heavy duty construction including wire guide arm. Foil can be wound with constant temsion and in tandem with insulation paper. Tension Housing ¤ Tension Plates ¤ Pneumatic Actuator and Wire Guide Rollers. The tension housing contains the mechanical elements of the tension device. 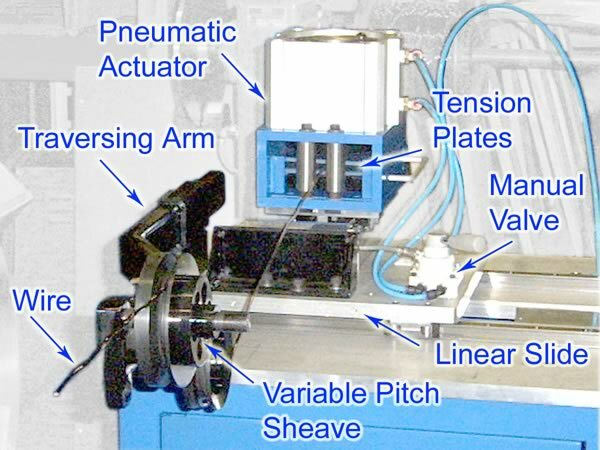 A pneumatic actuator provides the necessary downward pressure on the tension plates during winding. At completion of the winding operation tension on the plates can be relieved with a manual valve making it possible to easily pull the material through the plates by hand. Replacement of tension plates is simple through access at rear of housing. The tension sensor provides precise, accurate measurement of wire tension. A tension sensor (load cell) uses an LVDT type sensor to convert tension on the wire into a proportional electrical signal. The LVDT system provides precise, accurate tension measurement while the mechanical design allows for extremely high overloads without structural damage. No calibration or maintenance is required.